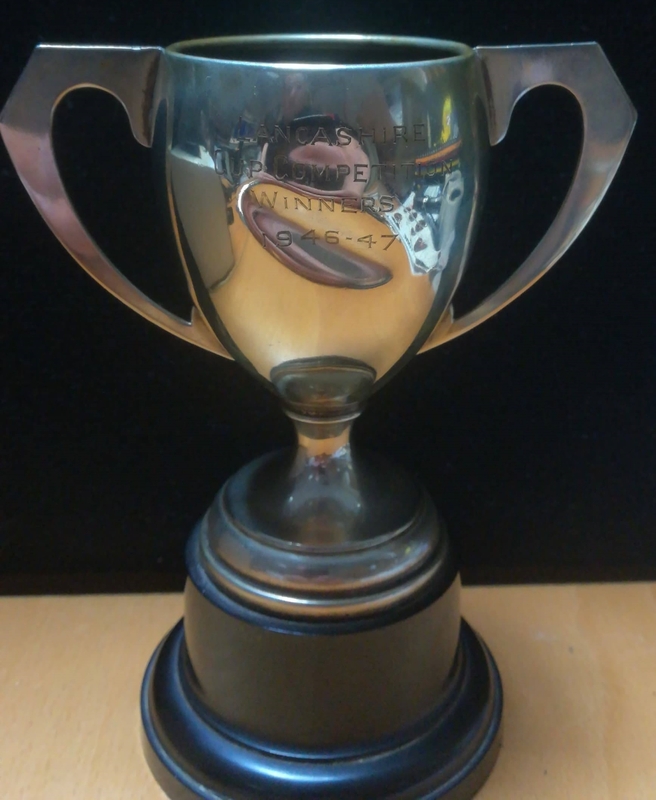 This Lancashire Cup Competition winner’s trophy was awarded to Liverpool FC’s Willie Fagan, as the Anfield side played Bury FC at home. Liverpool had been warned about fielding a reserve side, and many of the first team players took part in the game, although early on they were in for a shock as Bury actually went ahead. Goals from Jack Balmer and Albert Stubbins saw them come from behind to win 2 – 1.